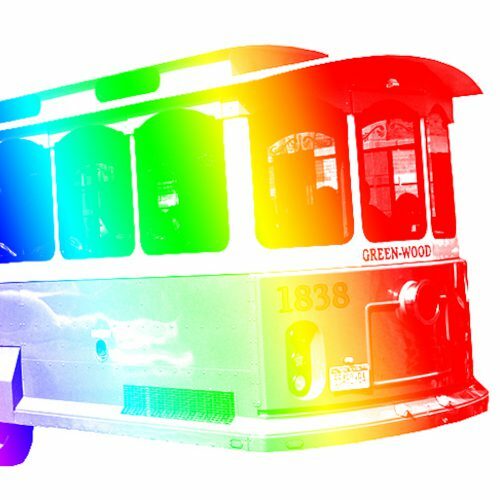 Green-Wood Cemetery celebrates LGBT History month with a special trolley tour illuminating permanent residents who have made a lasting impact on American culture in the nineteenth and twentieth centuries. You will visit the graves of important LGBT figures including “It’s Raining Men” co-writer, Paul Jabara; sculptor of Central Park’s Bethesda Fountain, Emma Stebbins; activists and founders of the Hetrick Martin Institute, Drs. Emery Hetrick and Damien Martin, among others. This trolley tour is led by Andrew Dolkart and Ken Lustbader, Co-Directors of the NYC LGBT Historic Sites Project. If there is enough interest in doing so, we may try to arrange a place to meet for a bite before the tour. Tickets cost just $25 per rider, and may be ordered here. Complete transportation information to the cemetery can be found on this page.